It is already ten years since popular gospel singer, Kenny Saint Best, parted ways with her ex-husband, Eddy Remedy but now the singer is ready to walk down the aisle again. 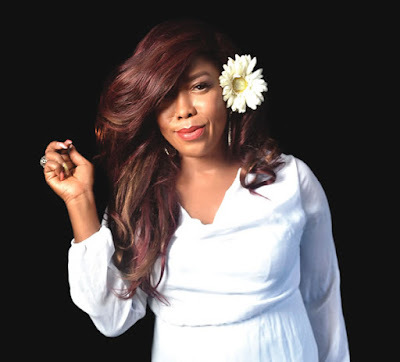 In an exclusive chat with Saturday Beats, the singer said having stayed as a single mother for a decade, she is ready to give marriage another shot. According to her, this month makes it 10 years since she took a walk from her former marriage. She told Saturday Beats that the pact she had with God is to have a man by her side by the time she marks her 50th birthday. The singer who said it had not been easy praised God who has given her the grace to see her through trying times. “It has been the ‘mega’ grace of God for me to do all I am involved with and still be a single mother. I ask myself if I am human sometimes because I combine a lot of things together. As we speak, I am at a rehearsal and before I left home, I had to make lunch, do the laundry and I would still check my children’s homework because their exam is coming up. I cannot afford to delegate duties when it comes to my children. What you want to see in the future is what you put in the picture now, so I can never be too busy for my children and my ministry. I am a church girl to the core. It has been the grace of God,” she said. However, while many gospel singers frown against collaborating with secular singers, KSB, welcomes them with open arms. So far, she has collaborated with the likes of the late Da Grin, Terry G, MI, Ice Prince, to mention a few. In a chat with Saturday Beats, the singer said that although she has been condemned a lot for featuring secular musicians in her songs, she is only doing the bidding of God. She said, “The condemnation I have got from people because I collaborate with secular musicians has been ‘mega’ but there is an adage in Yoruba that says, ‘when you are commissioned to do a job, it is who sent you that you revere and not the person you are to deliver the message to’. This is because you are answerable to the person that gave you the assignment. In my case, such condemnation was expected but they were not the one that gave me the assignment. If God gives you an assignment and you carry it out, your reward is from the person that gave you the assignment. The multiple-award winning singer who hasn’t staged a church concert for about a decade told Saturday Beats that the reason is because she has faced other aspects of her ministry. She however spoke about her forthcoming concert and what fans should expect. “For the first time, I would have an all-female worshippers on the line-up of my concert. Also, most of the female worshippers are lead singers from different churches. Many people do not know that Yinka Davies is a worshipper but she would be present to thrill the crowd on that day. My back-up singers of about 17 years ago would share the stage with me; the likes of Essence, Monique, Bola. They are all superstars now but we would share the stage together,” KSB said.